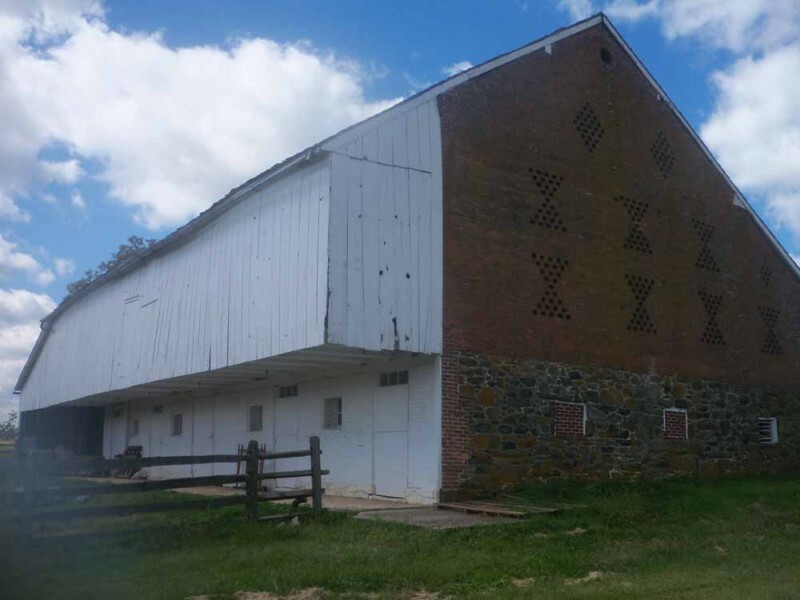 Barns of the Civil War: Abraham Trostle - Aged Woods, Inc. The American Civil War was the most violent conflict this continent has ever witnessed. Central to many of the great and small battles were family farms and their barns. 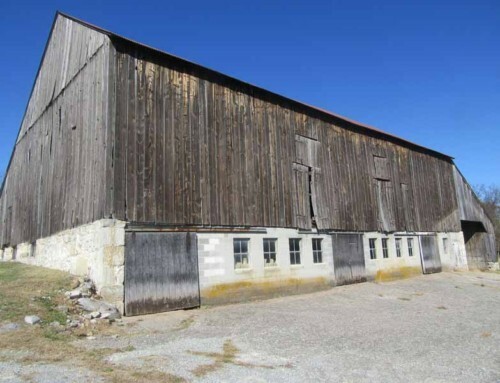 While many of these barns have been lost to time some of them still exist today. While they will never be used for reclaimed wood we at Aged Woods will profile some of them. These barns witnessed American history, if only they could talk. Any visit to Gettysburg takes the visitor by one of the most prominent barns on the battlefield. Some with a keen eye will even notice the holes in one side of the barn. It was on this farm and by this barn that great heroism occurred and was also later invented. This is the barn run by Abraham Trostle. 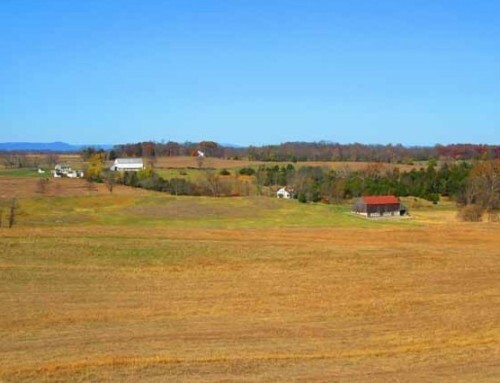 The 134 acre farm was owned by Peter Trostle and was occupied by his son Abraham and his wife Catherine along with their four sons and five daughters. 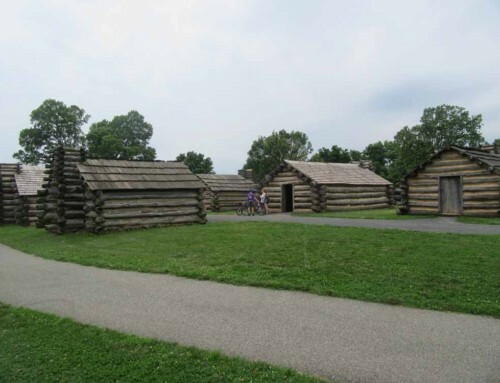 Besides a very prominent brick barn was a new timber-frame house, a corn crib, wagon shed, smokehouse and a springhouse. 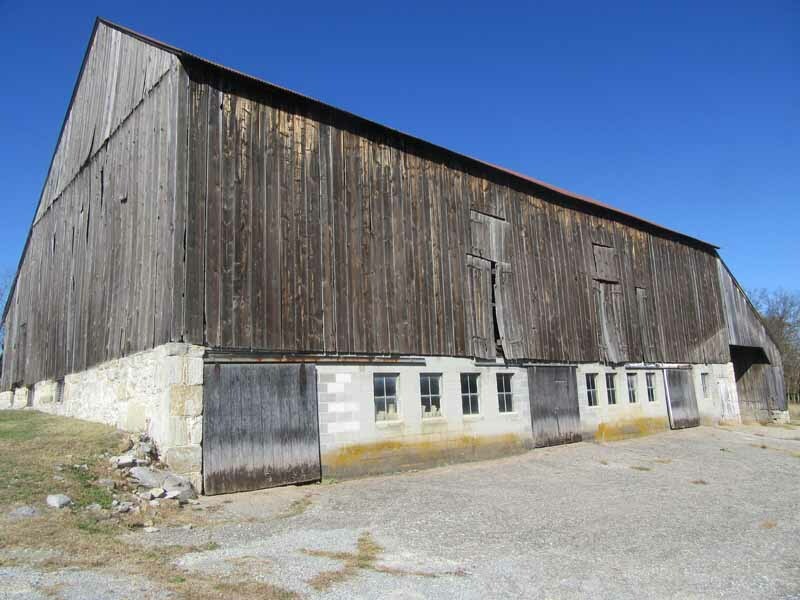 The barn was built in 1850 and was a typical bank barn common to Adams County. A small apple orchard was on the property and wheat and corn were grown. The family fled as battle neared. 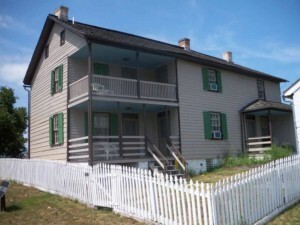 When Daniel Sickles advanced his III Corps on the afternoon of July 2 he moved his headquarters to the Trostle Farm. Later that afternoon as his position around the Sherfy Farm crumbled and began to break he realized he was in trouble. 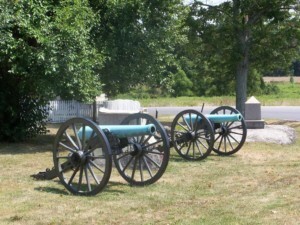 Sickles had been sent several batteries of artillery from the army’s reserve and placed the 9th Massachusetts Battery, under Captain John Bigelow, which was falling back from the Peach Orchard, at the Trostle Farm. He ordered them to hold their position at all hazards, or to fight to the death, so that his infantry could get to safety and so that a new line could be formed behind them. Bigelow’s men had never been in combat before that day and despite that they fought like veterans and slowed down some of William Barksdale’s Mississippians long enough for the infantry to escape. Despite expending 3 tons of solid shot and 92 pounds of canister the battery was eventually overrun by the 21st Mississippi. 80 horses were shot down and 27 men were killed or wounded. The survivors did manage to pull 2 guns away by hand (or prolong). The battery’s bugler, Charles Reed, saved the wounded Bigelow from capture as they were escaping and was awarded the Medal of Honor for his actions. 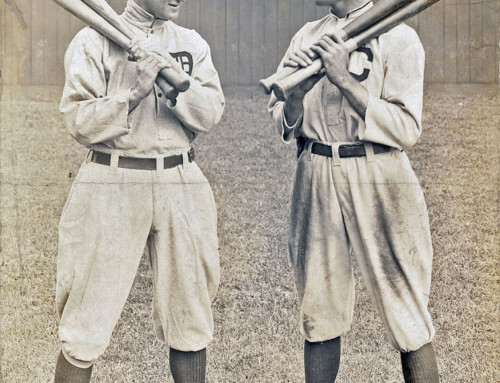 This stand was witnessed by Whitelaw Reid of the Cincinnati Gazette who reported the battery’s heroism to the world. The 30 minute stand bought enough time for a new line to be formed to the rear and to help repulse the Confederate attack. Daniel Sickles was one of the more prominent casualties of the battle. While on his horse near the Trostle Barn a cannonball took off his left leg. The shot was so perfect his horse did not even budge when it happened. He was placed under cover near the barn for awhile before being evacuated to a field hospital where what was left of his leg was amputated. Legend has it that in order to encourage his men as he was being carried off he lit a cigar and encouraged them to fight on. The truth was that he was more concerned about not being captured and had lost so much blood that he would be incapable of smoking a cigar. It made for a nice story though, one which he would probably oft repeat after the battle. A monument marks the spot today. The wounded Sickles was sent to Washington to recuperate and he was the first witness to the battle that Abraham Lincoln spoke to. It was Sickles’ narrative of the battle, which he was the hero and it was the professional soldiers that nearly lost the battle that he told to Lincoln. 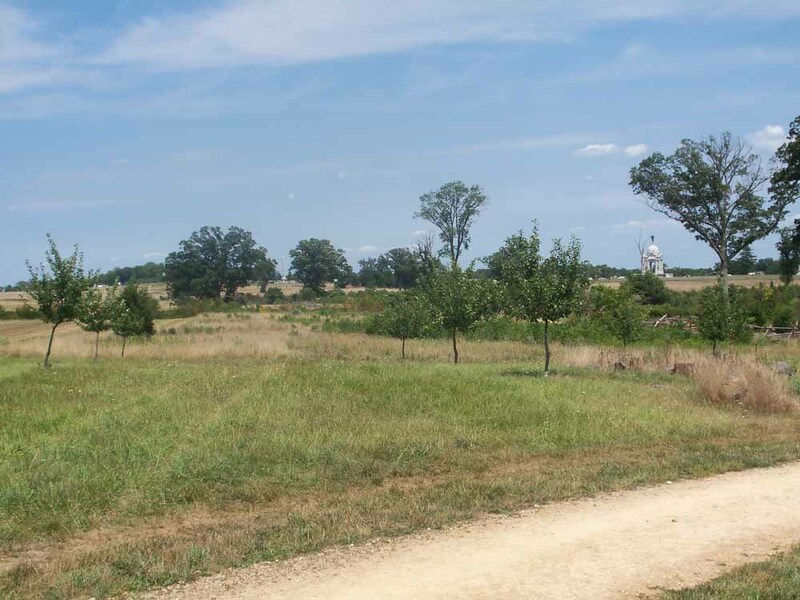 It was his bold move to cover the Emmitsburg Road that had brought on the battle (neverminding that fighting had occurred the previous day) and his corps had served as a breakwater that sapped the Confederate assault of its strength and momentum. Sickles would maintain this for the rest of his life but at no time would it be more prominent than when as a newly elected US Congressman he went to Washington with one campaign goal: to preserve the Gettysburg battlefield as a national park. He was successful in doing so proclaiming the battlefield a monument to himself. Sickles oft-told yard in all probability led to the congressman also being awarded the Medal of Honor for his actions which was opened to officers for the first time during his term in Congress. 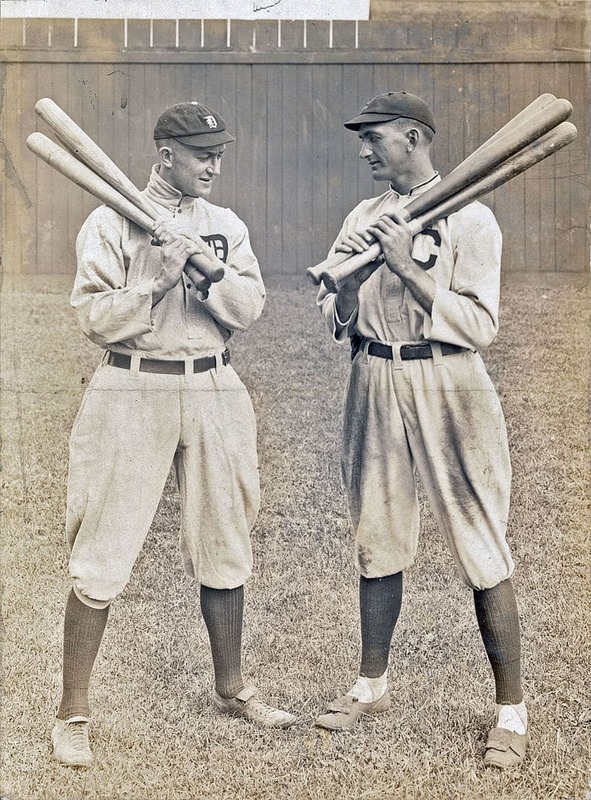 Sickles was a crook though, stealing money from the veterans group of his original command in order to sustain his extravagant lifestyle and he would die penniless. Ironically the money that he stole was being raised to erect a monument of him. His leg was put on display at the Army Medical Museum (now the National Museum of Health and Medicine) in Washington DC and Sickles would visit it as often as he could. It’s still there. 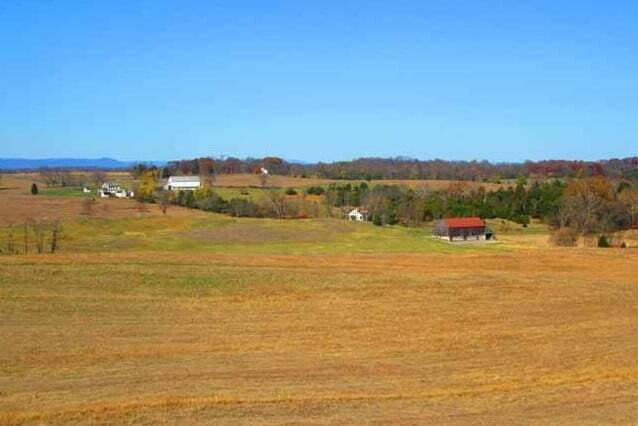 Following the battle the Trostle Farm was one of the most photographed parts of the battlefield. Alexander Gardner took numerous photographs of the site showing numerous dead bodies and horses. A damage claim was filed for destroyed crops, stolen property and the dead horses on the property. As was common with many other property owners they were never compensated. The farm remained in the family until 1899 when it was sold the government to be incorporated into the new Gettysburg National Battlefield. 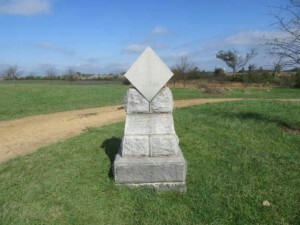 A monument was placed where Sickels was wounded and where Bigelow’s Battery made their stand. A witness tree is also on the property. 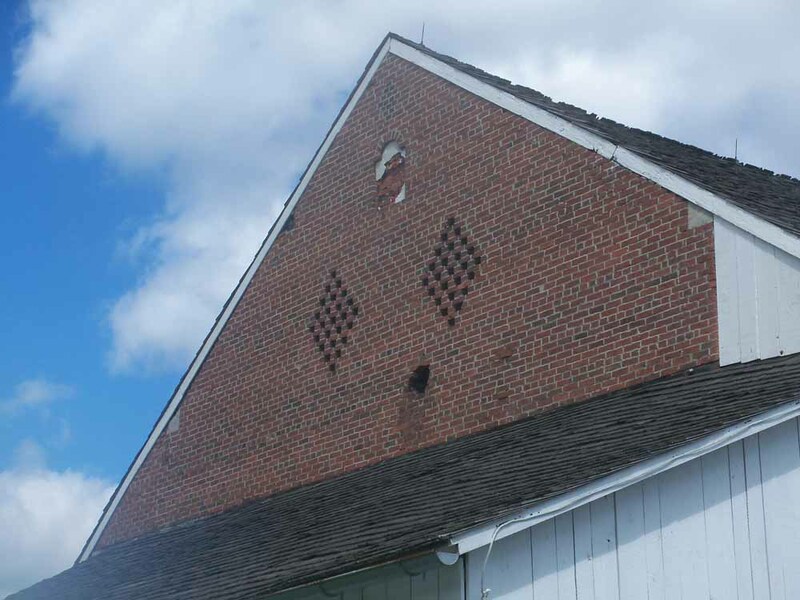 The barn still bears damage from the battle.